A tote made from an outer cardboard material (as opposed to a plastic tote). This cardboard is very thick, and is as strong as the plastic totes. 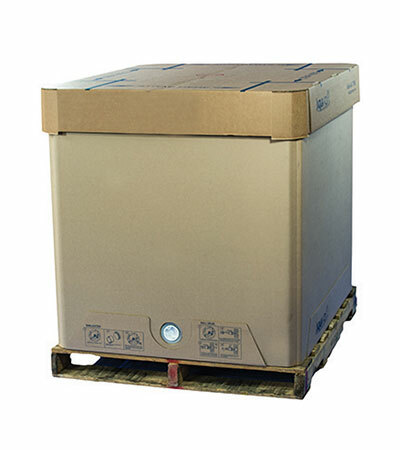 Cardboard totes can be made by many manufacturers, but one of the most common is SpaceKraft.